I am a nerd who likes to study about postwar recovery. Everything from city re-planning to emigration. Chechen government and Moscow have obviously done a lot recovery works there. Time to study. Being someone who works from broadcasting industry, I've learnt how easy audience reception can be misled. (Sound like a conspirator, right?) Since mainstream media keeps telling us how dangerous Chechen people are, and even how the recent Chechen War has just turned the whole Chechen nation somehow becomes "the one whose name can't be spoken", I want to see this place by myself, just to prove that the whole Chechen nation may not be that bad as what the media told us. "Even Lonely Planet doesn't suggest people to go there, who do you think you are?" 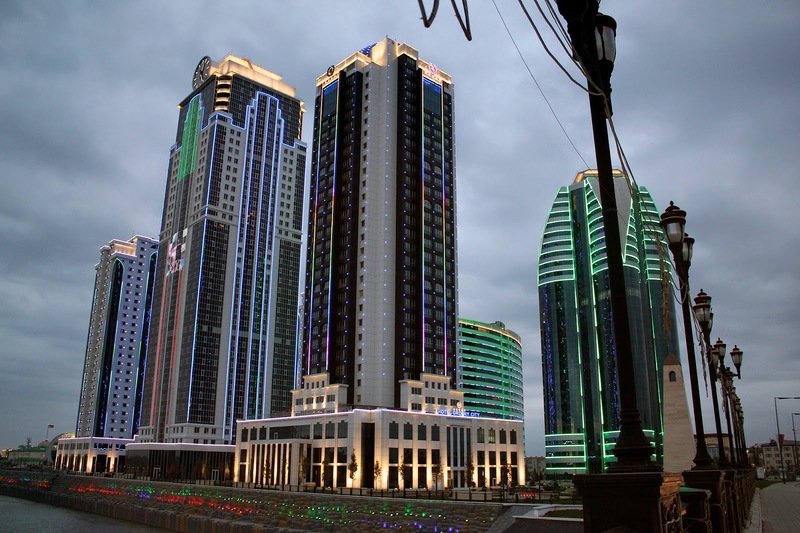 An experienced traveller questioned me when I first told him I was planning to visit Chechnya. He is a senior traveller who has been to more than 50 countries, I am just a newbie, I am supposed to respect him and listen to his advice...but wait, why should I have to follow his every single words? Guidebook is for reference only. LP is written by human being. Way before the very first LP guidebook was even published, human being have been travelling across continents and oceans for thousands of years. Why bother what LP said when it is just a guidebook? I was pretty upset by some fellow travellers who are still staying in the comfort zone. We need a sense of adventure sometimes. Chechnya is definitely not a popular tourist destination for most of the people on this planet but that doesn't mean tourists shall never go there. Chechnya has one of the most amazing Caucasus cultures, though there is not much travel information available online/offline. Let's just go there and discover this place! I like hiking and mountaineering, the stunning Caucasus mountain got me instantly when I first saw pictures from internet long time ago. Yes, it was cool when I told people I wanted to travel to Chechnya as a solo traveller, and it is still cool when I told people I have just been to Chechnya. Meanwhile, from time to time, there are some "experienced" travellers told me that's impossible and thought I lied. Whatever.